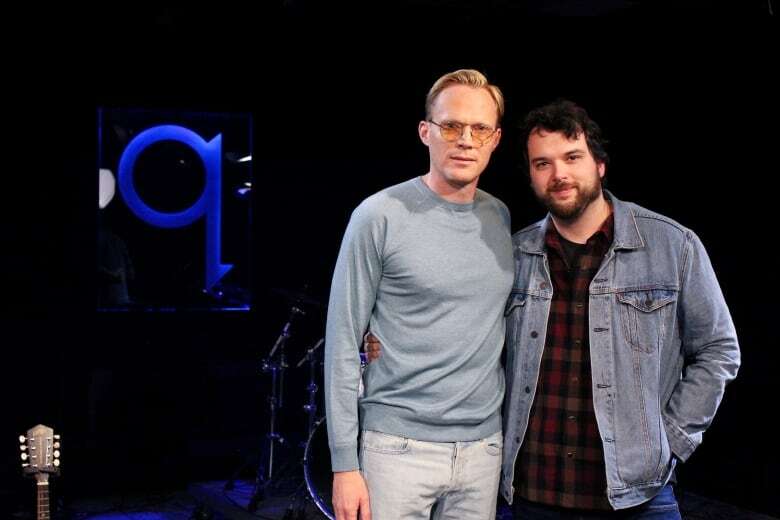 Actor Paul Bettany joins Tom Power live in the q studio to talk about his career and what it's like being in two of the biggest movies of the year. You might not know Paul Bettany as a big box office blockbuster star, but with two films in theatres very soon, the actor is set to reach a new level of household name status. Bettany plays Vision in Avengers: Infinity War — the huge superhero team-up film that's breaking box office records around the world right now — and later this month, you'll be able to see him in Solo: A Star Wars Story, a movie that looks back at the early life of Han Solo. Today, Bettany joins Tom Power live in the q studio to talk about his career and what it's like being in two of the biggest movies of the year. Watch the full interview above. Solo: A Star Wars Story hits theatres Friday, May 25. Avengers: Infinity War is out now.